This course would probably most benefit a highly motivated, self-disciplined student that has a rather long attention span. Someone who has dipped his or her toes in the waters of CPA work would find this course accessible given their knowledge foundation. Unfortunately, the content of lessons reflects low cost structure and the resources are sufficient for most main points, but aren’t as in-depth as other, more robust review courses. 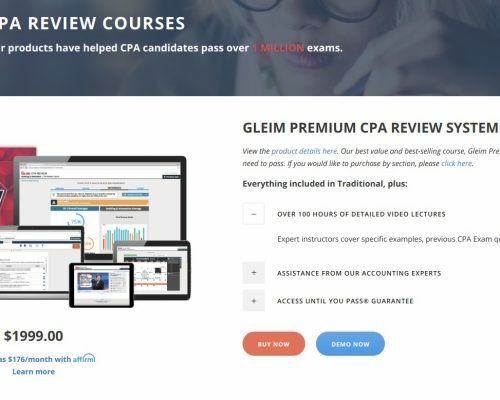 The main CPA exam topics are covered by the Gleim Instruct video series. The video series provides over 100 hours of viewing and in-depth coverage of the essential topics. Audio lectures are also available, for streaming and download. 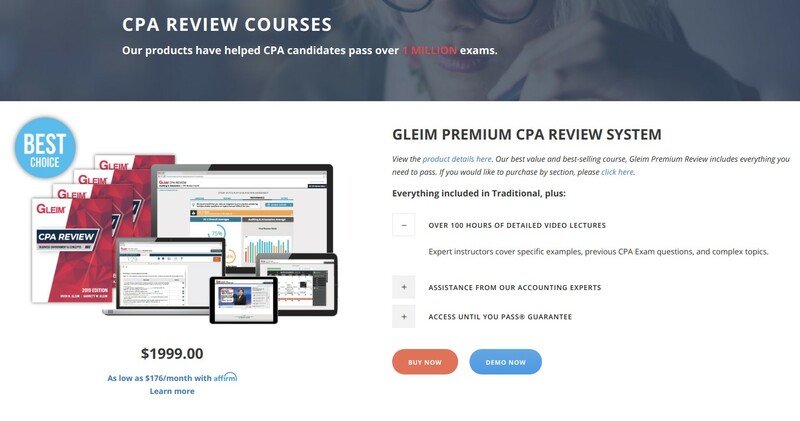 In order to receive both the video and audio portions of the exam review, you do need to be enrolled in the top tier program, as the lower priced options do not include all features. 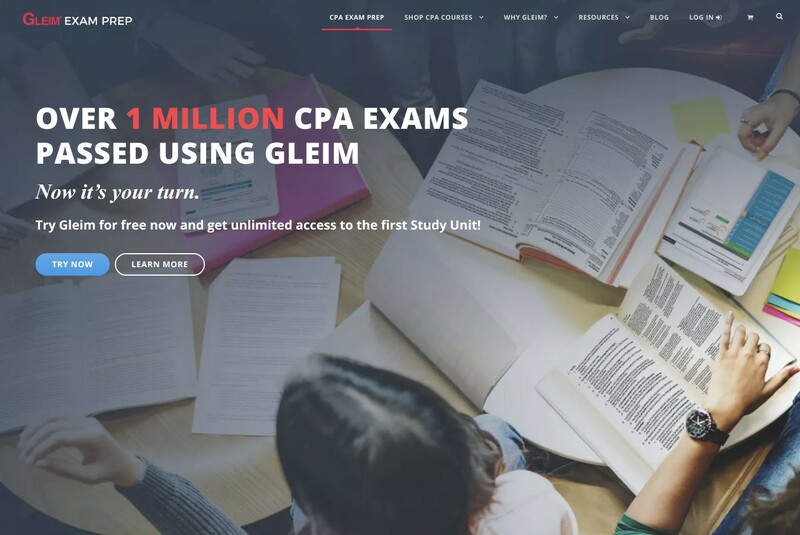 Gleim boasts, and delivers, a large number of sample exam questions and prep materials including over 100 hours of video lectures. 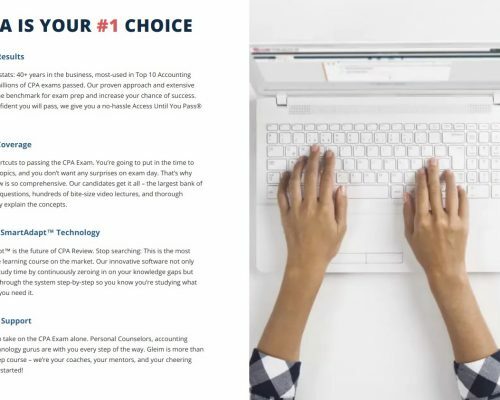 With more MCQs and simulations than any other provider, the exam prep and rehearsal offers the most authentic exam emulation available on the market. Depending on the type of student, the amount of total information might seem overwhelming, something to consider if you’re not highly organized and self-disciplined. According to Gleim, each student is assigned a personal counselor that will assist with creating a study plan, setting goals and providing support along the way. Unfortunately, the counselor option isn’t available until you reach the 2nd tier course pricing level (as well as a number of other missing features). 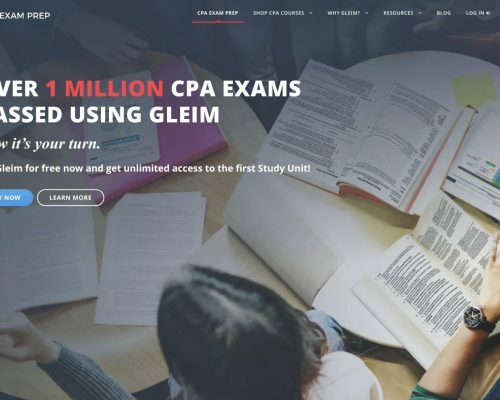 Gleim offers a free trial overview with example demo content online in order to help with your assessment of the program. 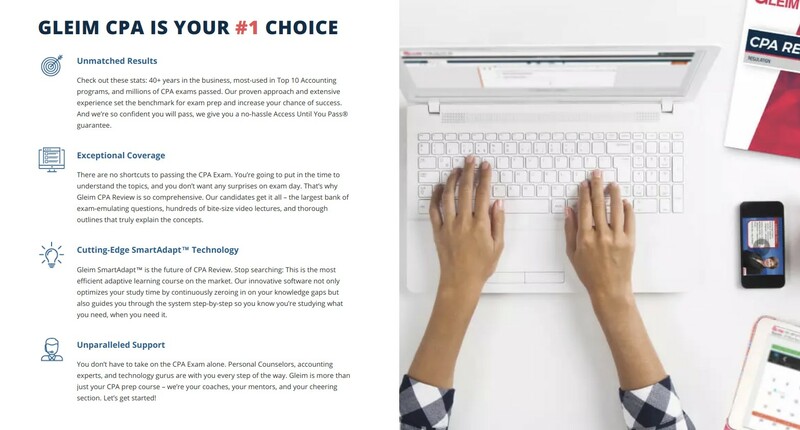 The Demo includes videos, example questions, audio lectures and book sample content. You will need to sign up to access the information, but it’s a good way to get started with your evaluation, before spending any money.